Franklin, Tenn. – Jan. 31, 2019 – For the second consecutive year, Quore, America's fastest-growing provider of workforce communication and engineering/housekeeping management technologies, has been named a “2019 Top Rated Operations Product” by HotelTechReport for its Cleanings Plus solution that elevates housekeeping performance with real-time updates, detailed cleaning tracking and powerful insights. The company also was named “runner up” in the Engineering & Facilities Management category for its suite of engineering applications that keep hotels on track and ensure properties stay in top shape. Winners were selected from more than 180 of the top technology products around the world. The HotelTechAwards are the industry's only data driven awards platform with winners determined not by a handful of judges but by a global community comprised from thousands of verified hotel technology users across more than 120 countries. “As one of the largest departments in any hotel, housekeeping offers some unique challenges related to effectively managing communication within the day-to-day operation,” said Scott Schaedle, Quore founder and president. “Using real-time, cloud-based technology, Quore’s housekeeping management solution – Cleanings Plus – automatically signals rooms that are ready to be cleaned through staff mobile devices, tracks cleaning performance in detail, and notifies supervisors when room cleanings are complete, thereby reducing delays for spotless, guest-ready rooms. [What I like about Cleaning Plus is] the ease of use and the amount of tools / features you have at your disposal. It is a very comprehensive software and it helps us stay on top of projects, deep cleans, PMs [preventive maintenance] etc... Best of all, it makes the staff be 100% on the same page when it comes to communication. "Housekeeping is undoubtedly the hardest job in any hotel,” said Jordan Hollander, HotelTechReport CEO. “The job isn't just physically taxing, but it's incredibly difficult logistically to orchestrate room turns and housekeeping management software makes that job 10 times easier. 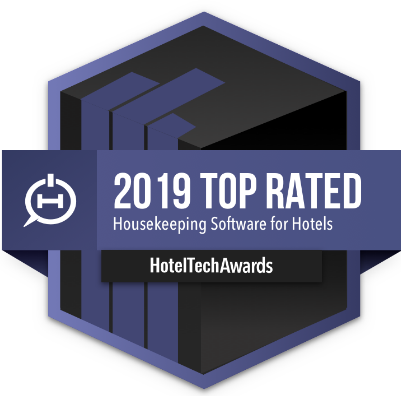 Quore has now won the housekeeping management category on Hotel Tech Report for two years – a testament to just how much housekeeping managers and general managers love the software. If you're looking for seamless integration, eliminated redundancies and a hotel that runs more smoothly Quore is an easy choice." To learn more about Quore or to request a demo, visit www.quore.com. Quore is an award-winning provider of workforce communication and engineering/housekeeping management technologies that enable hotels to efficiently run their day-to-day operations and improve the guest experience. With software used by more than half of the top 100 highest-earning hotel management companies in the U.S., Quore is the first solution ever to combine state-of-the-art technology and intuitive design to allow hotels of any size to manage all aspects of the guest experience. Quore supports some of the industry’s largest brands, including IHG, Marriott, Holiday Inn, and Best Western, to track work orders, execute preventive maintenance, manage guest requests, improve complaint responsiveness, and create world-class proficiencies in housekeeping. Founded in 2013 by Scott Schaedle, Quore Systems is privately owned and located in Franklin, Tennessee. How Can Your Independent Hotel Compete With Group Hotels?